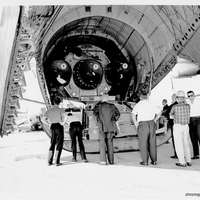 An Atlas core arriving at the Cape Canaveral Air Force Station's Skid Strip. 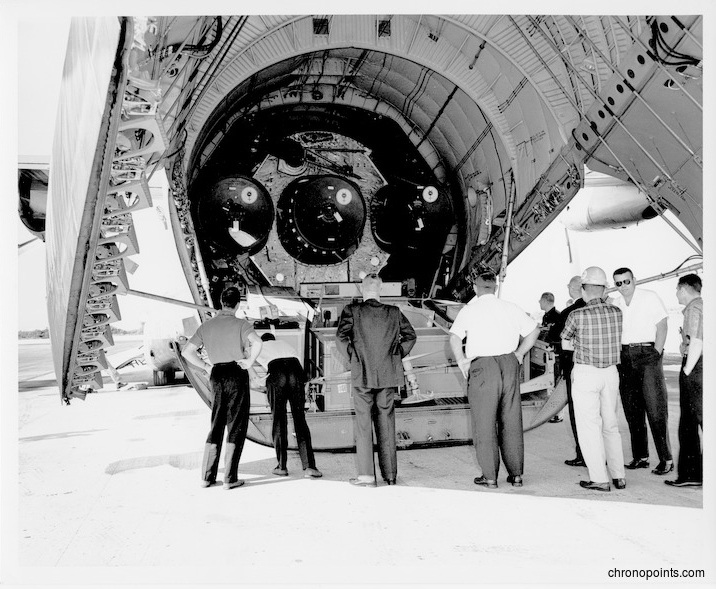 The core was flown from the manufacturer, Convair/General Dynamics, to Cape Canaveral, where it was unloaded and prepared for launch. This particular core was used for one of the four Mercury Atlas missions. “Atlas Core Arriving at Cape Canaveral.” RICHES of Central Florida accessed April 19, 2019, https://richesmi.cah.ucf.edu/omeka/items/show/5010.